Within the hour, an Osprey parent returned to the nest and began caring for the two young birds. The birds can be seen on cam at Smith Mountain Lake. 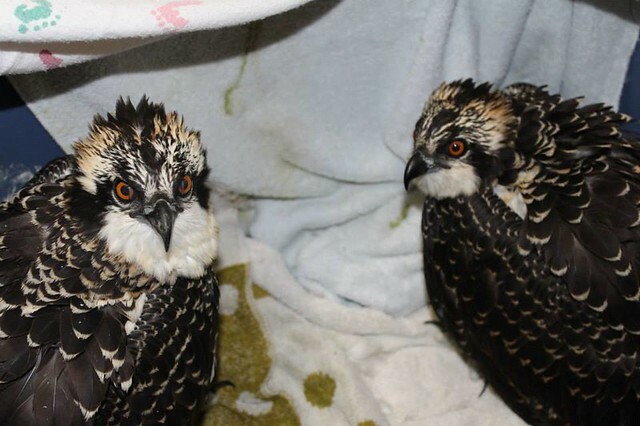 Both osprey chicks were banded at the Wildlife Center prior to re-nesting. Based on measurements taken during the banding, Dr. Dave said that both fledglings are male. One Osprey Cam viewer recorded this re-nesting as it happened! Special thanks to Eaglelover1923 for catching the big event.